Please plan to join us for our 20th annual Cal Murphy Memorial Golf Tournament. The Texas Scramble shotgun start is 1:00 p.m. Registration begins at 10:30 a.m., with putting and chipping contests at 11:00. The banquet will be a delicious Ukrainian buffet at 6:30 p.m. 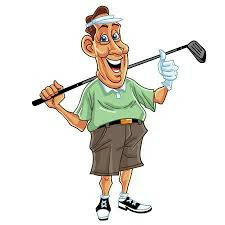 Spouses or friends who do not plan to golf are invited to join us. Seating is reserved, so let us know if there is another team or person you would like to sit with. An entry form for the tournament and banquet is linked below. Enter as a team, or a couple, or enter individually and we will place you on a team. Deadline for entries is Sunday, June 2nd but please help us plan by getting your name in early.